As we approach the Labor Day holiday weekend amongst another blazing hot Sacramento summer, SacAnime Summer (and in Long Beach, Anime California) officially signals the end of the summer portion of the 2016 convention calendar, at least in California. After what seemed to be one of the best SacAnime conventions on record in terms of attendance this time last year, attendees would say that the Winter 2016 convention was a "step backwards." Even I was noting issues and parts of the convention that could use improvement, especially since I believe that this convention can be a destination for cosplayers and attendees across California and maybe the West Coast. Since then, the guest list and events offered have been on par with what we already come to know and expect from this convention. 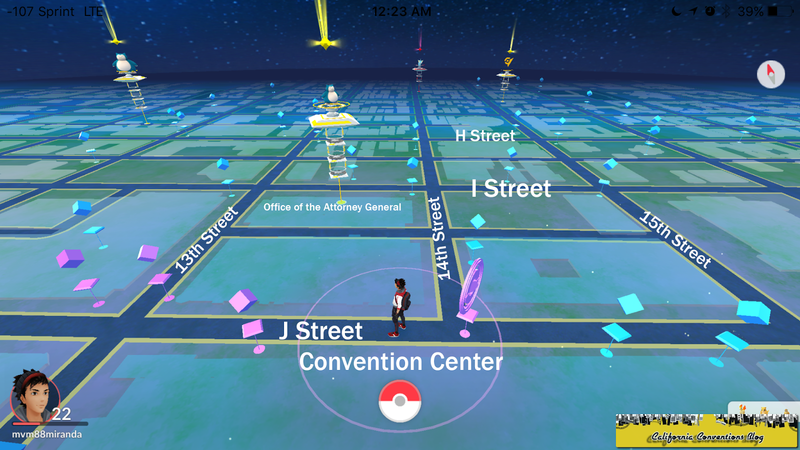 But about a month and a half ago, something was released that changed the complexity of SacAnime, something we saw with conventions after this was released like San Diego Comic Con. 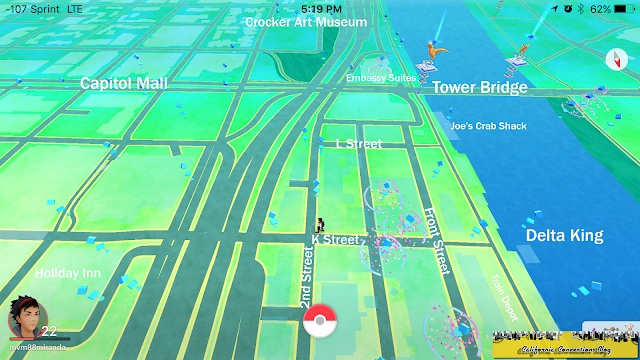 Yes, the game that took July by storm but has cooled off as a "trend." I would agree that the current build of the game is not like what we had on launch week but we've seen a evolution of this game and will continue to see it throughout the lifecycle of this game. But that's not why I'm writing this up. 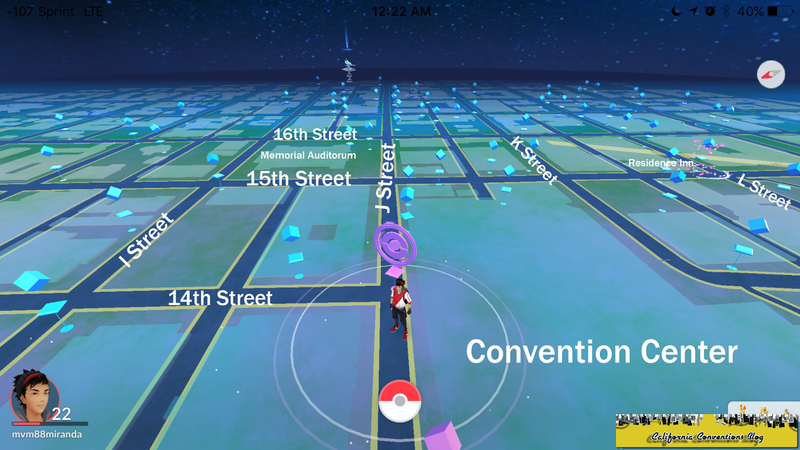 I'm here to offer a guide - a primer, per se - about how to play Pokemon GO while at SacAnime and in the general downtown Sacramento area. Because this game could be potentially a "fad" and this is a first for me writing this, this primer would go as an article and not its own seperate page as seen with the actual "Convention Primers." However, is reception is positive and I feel this game's cycle can last a long time I can make this into its own page with notes detailing recent updates regarding the area, mostly Pokemon spawns. 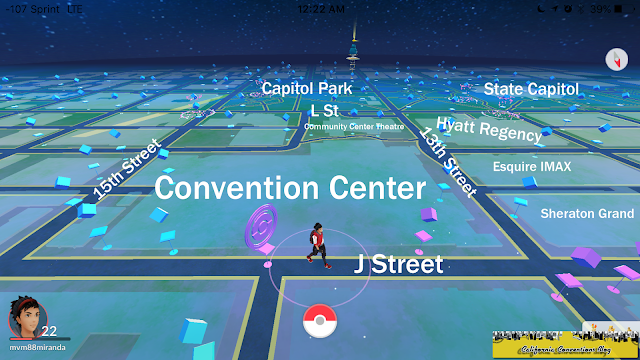 Before I go on with an information dump, SacAnime has gotten into the Pokemon GO game by offering a "PoGo SacAnime Hunt." The contest starts 11am Saturday and runs through 6pm. More information can be seen in the link below. Also, all of these photos (in high-res no less!) can be seen on our brand-new Imgur account! With attendees convening on the Sacramento Convention Center, the main place to be during SacAnime Summer weekend if you want to play will be at the convention center and surrounding hotels, Capitol Park and the State Capitol, Old Sacramento, and the corridor between these two areas. 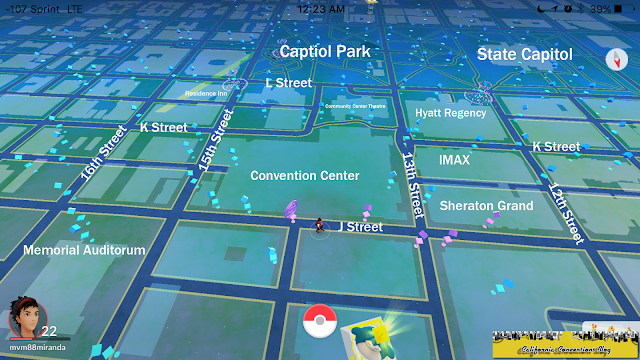 These areas are littered with Pokestops and expect lures to be up constantly in these areas during the weekend, in fact I wouldn't be shocked if lures are up almost literally for the entire convention. A short one kilometer 15 minute walk around the peremeter of the convention center, Esquire IMAX, and the Sheraton Grand will net you so many items, especially since you get bonus items after your 10th unique Pokestop in a row within 30 minutes, that you'll want to invest in a backpacks and incubators for your character. 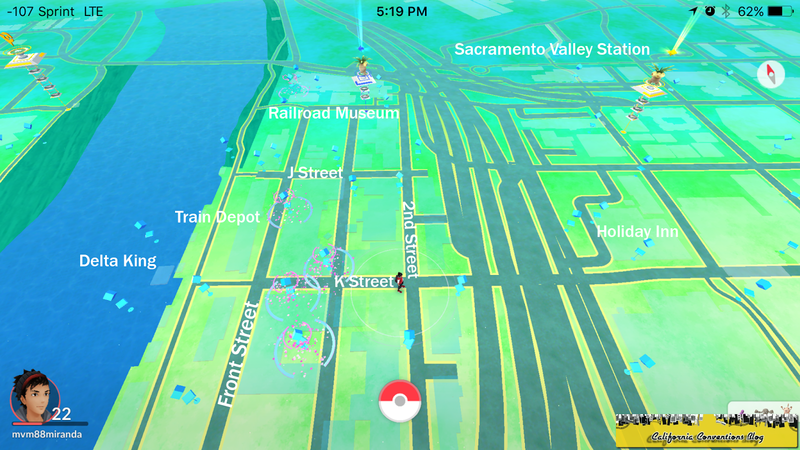 There are also gyms right behind the covnention center at the Office of the Attorney General, Ceasar Chavez Park, Capitol Park, Capitol Mall, the California Railroad Museum, and two at the Tower Bridge - one on the Sacramento County side and one on the Yolo County side, just to name a few. 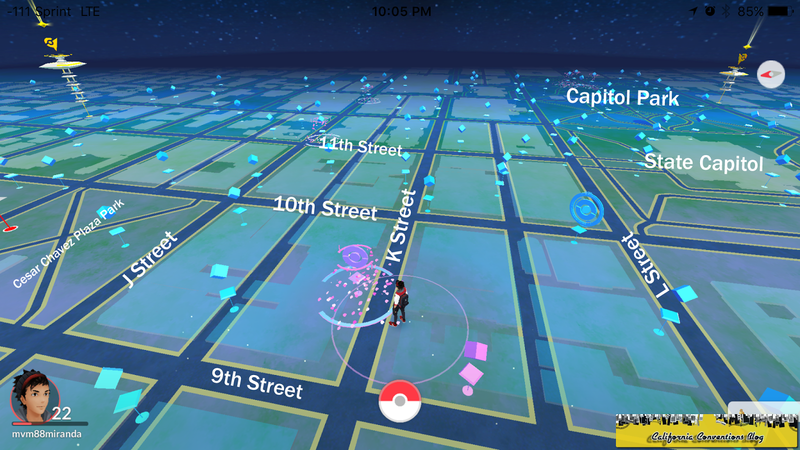 You may be asking me at this point, "well, what kind of Pokemon spawn in Downtown Sacramento?" 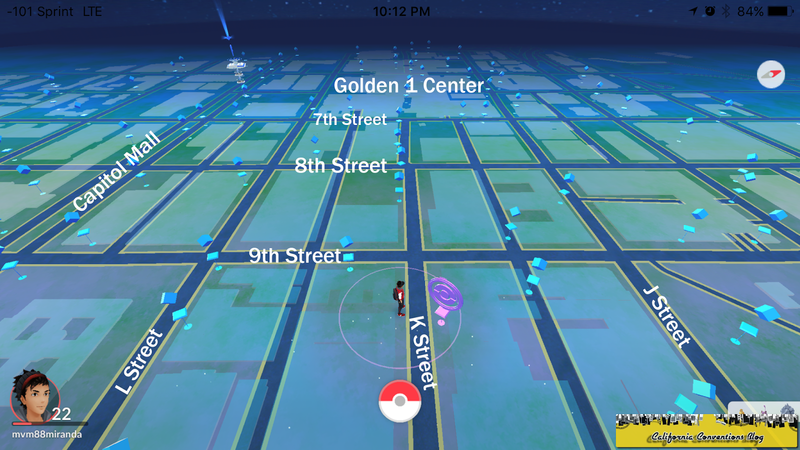 Compared to spawns/nests in the Bay Area and Southern California, Pokemon spawns/nests were pretty decent but have gotten weaker with each update and changes to where Pokemon spawn/nests are. 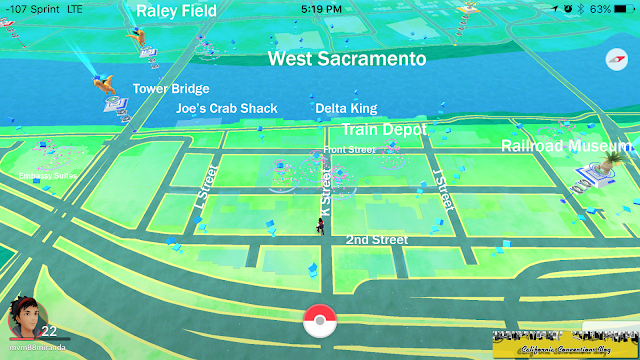 Sacramento does offer some water Pokemon near the Sacramento River in Old Sacramento, but for the most part you can build a decent Golem, Machamp, Arcanine, Sandslash, Primeape, and Rydon armies with the amount of Geodudes, Machops, Growlithes, Sandshrews, Mankeys, and Ryhorn that spawn in the area. Captiol Park contains grass Pokemon as I have found a few Bellsprouts and Venonats. 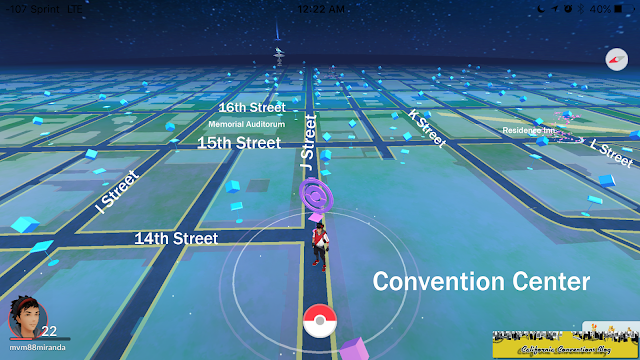 For EXP grinders aka those who rapidly gain EXP through evolutions, Pidgeys, Rattatas, and Ekans are abundent but then again they are abundent EVERYWHERE. 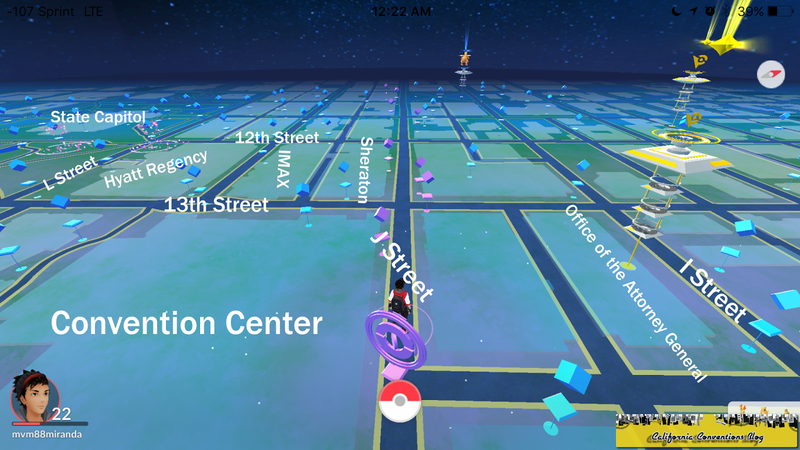 Of course, there is the occasional rare Snorlax or Charizard spawn in downtown especially near the Vietnam memorial in Capitol Park. 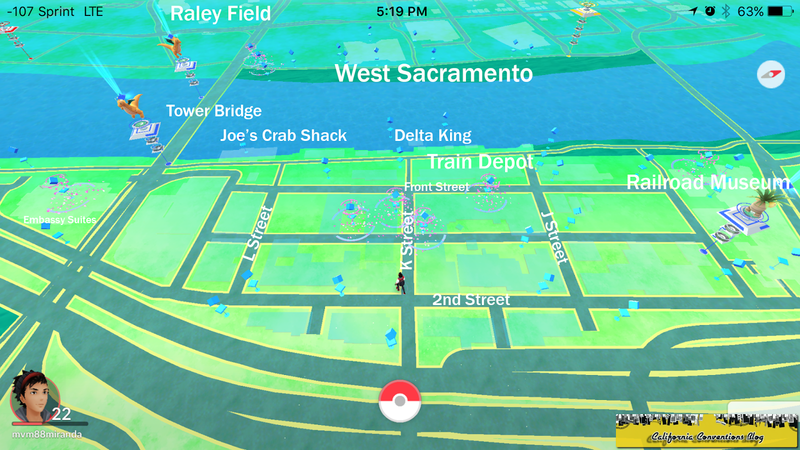 The one thing you won't find in the area is a decent nest, something you'll have to travel out to the outlying neighborhoods like Land Park or the suburbs like Natomas, Folsom, and Elk Grove to efficiency find. In all, this should be a great weekend to get back into the game especially if you were the many who decreased their playing time significantly (myself included, I find myself maybe playing for 2-3 hours a week versus double that in a day a month ago). It's going to be a feast of Pokemon, lures, and endless battles to determine who will on top of the Sacramento gyms.